The shoulder joint exhibits a wide range of movement which includes flexion, extension, adduction, abduction and medial rotation. This is one of the most commonly used joints as it moves every time we move the arms, thus making it prone to injuries. Injuries can be sustained either from sports activities where the shoulder is frequently used or in daily activities that requires repetitive and excessive movement of the shoulder as in reaching high areas like washing windows or ceilings. It is also common to sustain shoulder injuries while at work or as a result of an auto accident. So a workers comp doctor is often needed. When people do injure the shoulders, one may suspect shoulder dislocation or shoulder separation. Most of the time the terms are used interchangeably, although these are two entirely different conditions. Before considering shoulder dislocation or separation, it is important to rule out other types of shoulder injuries such as muscle problems, fractures, sprains and neuropathies. Different imaging studies can help in narrowing the diagnosis, until ultimately ending up with either a dislocation or separation diagnosis. A dislocation is when joints separate at the point where the bone meets. Shoulder dislocations are the most common joint dislocation and mostly results from a fall that leads to the popping out of the arm from the shoulder socket. Considering that it is a very mobile ball and socket joint, the ball joint is capable of coming out of the socket causing severe pain. Attempts to return it to its original position should be left to a professional. The surrounding tissues and nerves can also be affected and can bring about weakness of the shoulder. On the other hand, shoulder separation takes place when trauma to the shoulder area causes the ligaments to be torn leading to the separation of the clavicle from the end of the acromion. The collarbone therefore may seem to be no longer attached to the shoulder blade. So in a shoulder separation, the torn tendons causes the separation and the shoulder joint is not directly affected. 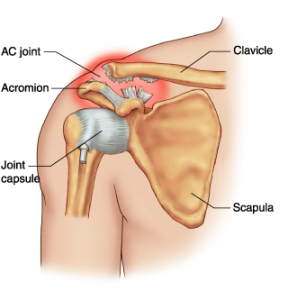 There are multiple grades to a shoulder separation, known as an AC separation (acromioclavicular). Some events may bring about a dislocated or separation of the shoulder such as falling and landing on the shoulder on a solid surface, direct trauma to the shoulder such as hitting, the arm may be outstreched in stopping a fall. So basically, both conditions result from an acute injury. Symptoms of a dislocation may be an intense pain in the upper arm and shoulder area upon movement, and a bump in the shoulder that represents the dislocated bone. 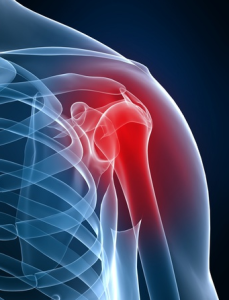 Separation of the shoulder also presents with severe pain and tenderness in the area of the collarbone and shoulder. Swelling and deformity can also be observed. Some symptoms may overlap so it would be best to consult with a doctor for diagnostic exams and to determine if there are other broken bones and other associated conditions.